Buy local. Support your community. Tired of giving all your money away to large corporations that have little connection to your community? 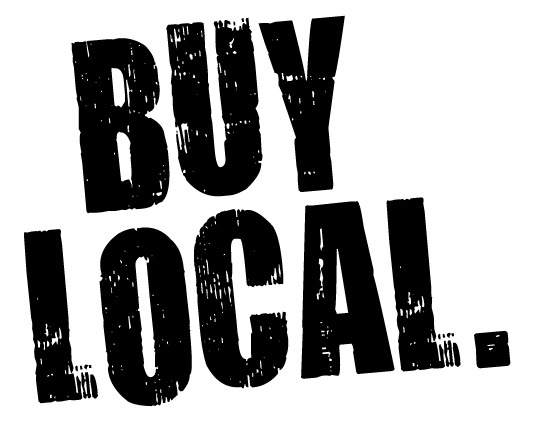 There is a very simple way to ensure that your local dollars stay local: By shopping at local businesses. Several community economic studies show that for every $100 spent at a small, local business, $60-$70 stays within the community as those dollars go towards local payroll, local business support services, local charities and local taxes. That same $100 at a large chain store? Only about $15-43 stays within the local community. Buying online at a big out-of-state web company? Virtually none of that money stays in Denver. Just as there is an effort take money out of the big banks and depositing it in local banks and credit unions, there is an effort to support local businesses over the the corporate retail and online behemoths like Wal-Mart and Amazon. It’s those small businesses that are in many ways the fabric of our community. They provide our neighborhoods with character and contribute their money locally. And even if you’re purchasing items for out-of-town friends and family, many businesses have shipping services. We here at Capitol Hill Books have provided hundreds of dollars over the years to local non-profit organizations from the money generated by our red carts, as well as contributing books and other items to various charities and events. And it’s not just our store that survives because from our loyal, local customers. There are numerous small businesses all over the Denver area that rely on community support. So be sure to check out the 3/50 Project and Mile High Business Alliance web sites for more information about supporting the local businesses you cherish. This entry was posted in Uncategorized and tagged 3/50 project, buy local, Capitol Hill Books, charity, local businesses, red carts, shipping services, shop local. Bookmark the permalink. ← Meet Francis the monster!